I'm not going to make this long. Look at the cover of Shadowland #5 to the right. This is the cover, of the comic of the day, from a mini series that was supposed to be a big "street level" Marvel character event. Marvel had the right idea when they decided to bring in a big name artist to attach onto this event; but unfortunately for Marvel, the former Astonishing X-Men John Cassaday no longer exists. There is only this shell of an artist known as Shadowland John Cassaday...and that's a name no one should have to live with. 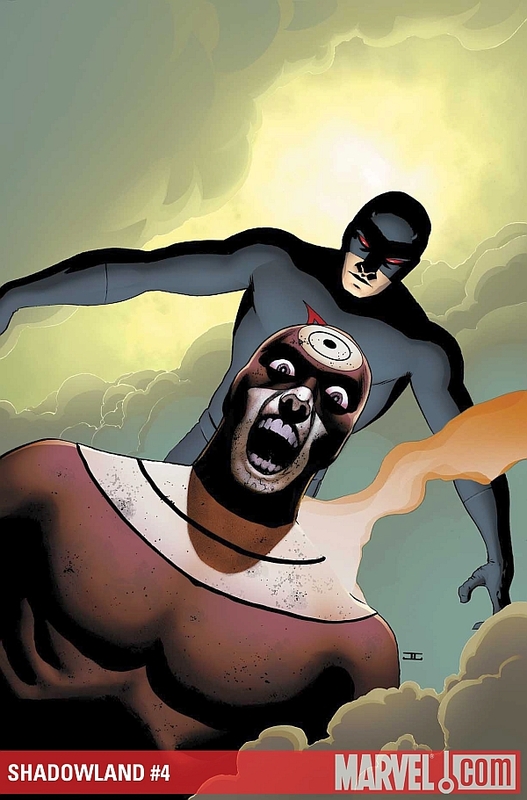 Check out Cassaday's similar comic cover effort on the Shadowland crossover, Daredevil #510. Notice the familiar theme of a poorly drawn villain in-front of a poorly drawn Daredevil? I tried I can't make that face, it has no lips. That is some pretty simplified artwork. The thought that comes to mind is "Really? ".